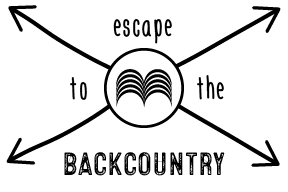 Depending on your level and experience in the backcountry, read on to find out about our Intro and Explorer couses. 5 full days of riding powder – simple, right? Have you ever been stuck, digging yourself out of the bomb-hole you created after burying your nose in deep snow. Hot, sweating and panting as you trudge through the waist deep snow, cursing yourself, hating. To be able to freeride you must learn to adapt your technical riding – particularly in line with the different snowtypes that you encounter. You will learn to understand the tactics required to ride ever changing terrain – the speed needed, the correct line and turn shape for the pitch you’re riding. Stop hating, start shredding. This 5 day course is designed for riders with some off-piste experience and a good sense of adventure. It is important that you learn to take the good with the bad. Often, the access in/out of certain pitches is not the best snow to ride on, or a high, long traverse is necessary. These skills are paramount if you wish to ride in the backcountry and will be developed on this course. The Explorer course will supercharge all of your previous skills. Start to ride couloirs, steeper pitches and hike further. It’s important to learn the right mental approach to certain situations, helping you develop trust and confidence when most needed. You will be taught to better understand the importance of safety. Finally you get to ride powder and taken to the best areas of the mountain. The complete freeriding experience. This course is designed for riders with previous backcountry course experience looking to challenge their riding. You must be a confident snowboarder with a solid mental attitude. Be prepared to hike several times daily to ride lines.